Team Pagosa – We specialize in Pagosa Springs Real Estate. 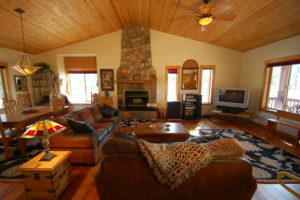 We will help you buy, rent, or sell a property in Pagosa Country. Search over 900 listings in Pagosa Springs! Filter by price, beds, baths, square footage, acreage, property type, features, keywords and more! The agents at Team Pagosa have been in Pagosa Springs for a total of over 150 years. Let that experience work to your advantage. Go with Team Pagosa Realty Group–the company that sold $29 million in Pagosa area properties in 2018!!! "My husband and I have bought and sold numerous homes throughout the years and we have never had an experience as nice as working with Erika Hampton. She is informative, patient, and most important; always available. Ii would highly recommend calling her for any and all of your real estate needs. She will not let you down!